This article is about network hardware. For the political party, see MoDem. 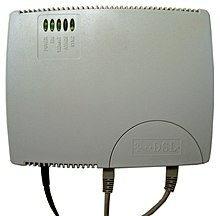 A modem (portmanteau of modulator-demodulator) is a hardware device that converts data between transmission media so that it can be transmitted from computer to computer (historically over telephone wires). The goal is to produce a signal that can be transmitted easily and decoded to reproduce the original digital data. Modems can be used with any means of transmitting analog signals from light-emitting diodes to radio. 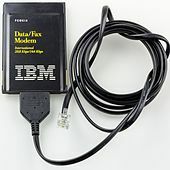 A common type of modem is one that turns the digital data of a computer into modulated electrical signal for transmission over telephone lines and demodulated by another modem at the receiver side to recover the digital data. 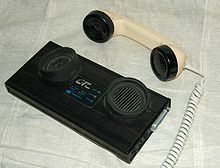 The Hush-a-Phone decision applied only to mechanical connections, but the Carterfone decision of 1968, led to the FCC[who?] introducing a rule setting stringent AT&T[who? ]-designed tests for electronically coupling a device to the phone lines. 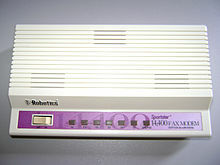 This opened the door to direct-connect modems that plugged directly into the phone line rather than via a handset. 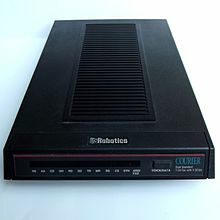 However, the cost of passing the tests was considerable, and acoustically coupled modems remained common into the early 1980s. (SNR = 30 dB), the capacity is approximately 30 kbit/s. 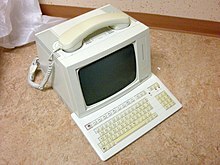 A 1994 Software Publishers Association found that although 60% of computers in US households had a modem, only 7% of households went online. A CEA study in 2006 found that dial-up Internet access is declining in the U.S. In 2000, dial-up Internet connections accounted for 74% of all U.S. residential Internet connections. The United States demographic pattern for dial-up modem users per capita has been more or less mirrored in Canada and Australia for the past 20 years. The cost of using a wireless modem varies from country to country. Some carriers implement flat rate plans for unlimited data transfers. Some have caps (or maximum limits) on the amount of data that can be transferred per month. Other countries have plans that charge a fixed rate per data transferred—per megabyte or even kilobyte of data downloaded; this tends to add up quickly in today's content-filled world, which is why many people[who?] are pushing for flat data rates. Modems that are used to connect to a fiber optic network are known as optical network units (ONUs). Fiber optic systems can be upgraded by the use of quadrature amplitude modulation. 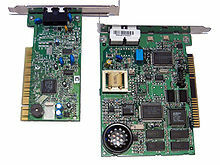 The modulator and demodulator are separate components rather than a single assembly as with most modems. ^ inventors, Mary Bellis Mary Bellis wrote on the topics of; Years, Inventions for 18; Producer, Was a Film; director. "Where Did the Modem Come From?". ThoughtCo. Retrieved 2018-12-12. ^ "Modem entry". Archived from the original on 2014-07-11. ^ Internet, Tamsin Oxford 2009-12-26T11:00:00 359Z. "Getting connected: a history of modems". TechRadar. Retrieved 2018-12-12. 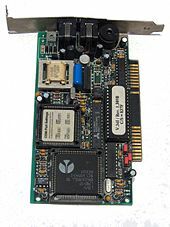 ^ "Bell 103 modem - Semantic Scholar". www.semanticscholar.org. Retrieved 2018-12-12. ^ a b Mark Anderson. "David Forney: The Man Who Launched a Million Modems". 2016. ^ IEEE History Center. "Gottfried Ungerboeck Oral History". Archived from the original on June 25, 2007. Retrieved 2008-02-10. ^ Held, Gilbert (2000). Understanding Data Communications: From Fundamentals to Networking Third Edition. New York: John Wiley & Sons Ltd. pp. 68–69. ^ a b Greenstein, Shane; Stango, Victor (2006). Standards and Public Policy. Cambridge University Press. pp. 129–132. ISBN 978-1-139-46075-0. Archived from the original on 2017-03-24. ^ "Agreement reached on 56K Modem standard". International Telecommunication Union. 9 February 1998. Archived from the original on 2 October 2017. Retrieved 5 September 2018. ^ "V.92 - News & Updates". November and October 2000 updates. Archived from the original on 20 September 2012. Retrieved 17 September 2012. ^ "Modem compression: V.44 against V.42bis". Pricenfees.com. Archived from the original on 2017-02-02. Retrieved 2014-02-10. ^ "Re: Modems FAQ". Archived from the original on January 4, 2007. Retrieved 2008-02-18. - Wolfgang Henke. ^ tsbmail (2011-04-15). "Data communication over the telephone network". Itu.int. Archived from the original on 2014-01-27. Retrieved 2014-02-10. ^ a b c d e f g h "29.2 Historical Modem Protocols". tldp.org. Archived from the original on 2014-01-02. Retrieved 2014-02-10. ^ "concordia.ca — Data Communication and Computer Networks" (PDF). Archived from the original (PDF) on 2006-10-07. Retrieved 2014-02-10. ^ "Group 3 Facsimile Communication". garretwilson.com. 2013-09-20. Archived from the original on 2014-02-03. Retrieved 2014-02-10. ^ "upatras.gr - Implementation of a V.34 modem on a Digital Signal Processor" (PDF). Archived from the original (PDF) on 2007-03-06. Retrieved 2014-02-10. ^ Jones, Les. "Bonding: 112K, 168K, and beyond". 56K.COM. Archived from the original on 1997-12-10. ^ "Software Publishing Association Unveils New Data". Read.Me. Computer Gaming World. May 1994. p. 12. Archived from the original on 2014-07-03. ^ Suzanne Choney. "AOL still has 3.5 million dial-up subscribers - Technology on NBCNews.com". Wayback.archive.org. Archived from the original on 2013-01-01. Retrieved 2014-02-10. ^ "What is a USB modem?". Vergelijkmobielinternet.nl. Archived from the original on 30 November 2012. Retrieved 17 September 2012. ^ "HUAWEI E1762,HSPA/UMTS 900/2100 Support 2Mbps (5.76Mbps ready) HSUPA and 7.2Mbps HSDPA services". 3gmodem.com.hk. Archived from the original on 2013-05-10. Retrieved 2013-04-22. 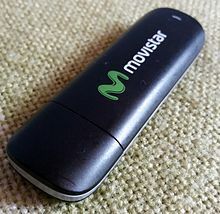 ^ "Sierra Wireless Compass 885 HSUPA 3G modem". The Register. Archived from the original on 2013-01-04. Retrieved 2014-02-10. ^ Lawson, Stephen (May 2, 2011). "Laptop Users Still Prefer USB Modems". PCWorld. IDG Consumer & SMB. Archived from the original on September 27, 2016. Retrieved 2016-08-13. ^ Michel, Stephanie (September 19, 2013). "Which optical modulation scheme best fits my application?". LIGHTWAVE. Archived from the original on November 9, 2016. ^ Michael Kassner (February 10, 2015). "Researchers double throughput of long-distance fiber optics". TechRepublic. Archived from the original on November 9, 2016. ^ Stephen Hardy (March 17, 2016). "ClariPhy targets 400G with new 16-nm DSP silicon". LIGHTWAVE. Archived from the original on November 9, 2016. ^ "ClariPhy Shatters Fiber and System Capacity Barriers with Industry's First 16nm Coherent Optical Networking Platform". optics.org. 17 Mar 2016. ^ "Nokia Bell Labs achieve 65 Terabit-per-second transmission record for transoceanic cable systems". Noika. 12 October 2016.